Now the fun has begun.....details. Oh how I love details. 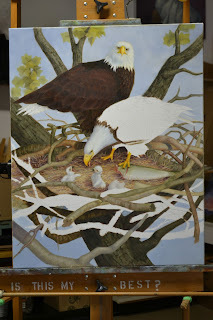 Painted an entire morning on the eggshell and fussed with the eaglets for half an hour today. I am really obsessed with making them look fuzzy. 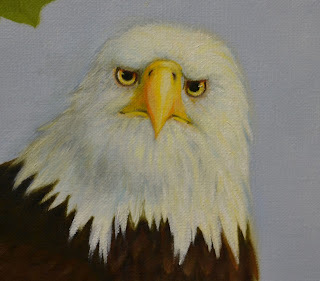 I still am not happy with them. More to come. 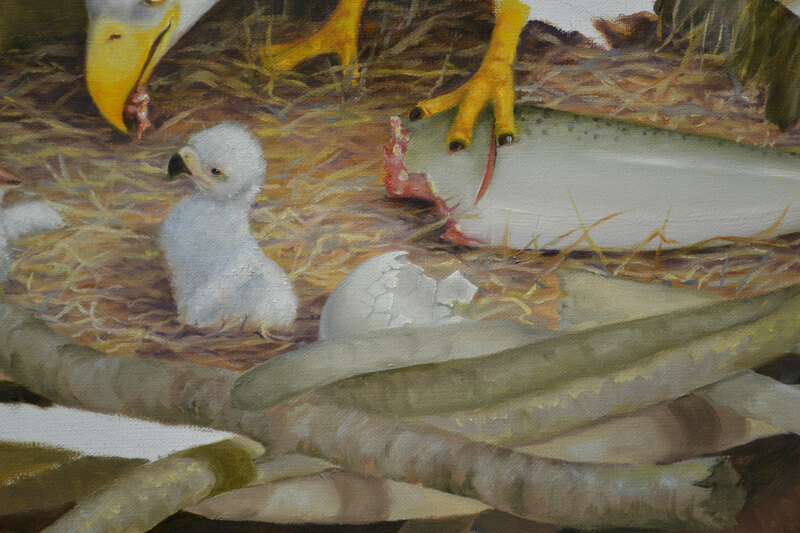 I have now gotten around to painting in some detail. Already I can see an end in sight...but, after putting this image on the computer screen, I see adjustments to make. Such is my OCD nature. 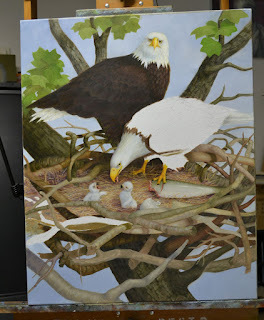 I have gotten a few more hours in the studio and here is the progress on the eagles project. I have started to actually paint the leaves on the tree, no detail in them yet. I worked a lot lately on laying in more of the tangle of branches. It amazes me how long it is taking to lay in these branches with just an initial layer of color. I am having to really think about whether or not the arrangement makes sense with regard to the construction of the nest. Again, I am not terribly concerned with detail, simply trying to find the correct forms, shadows and values. 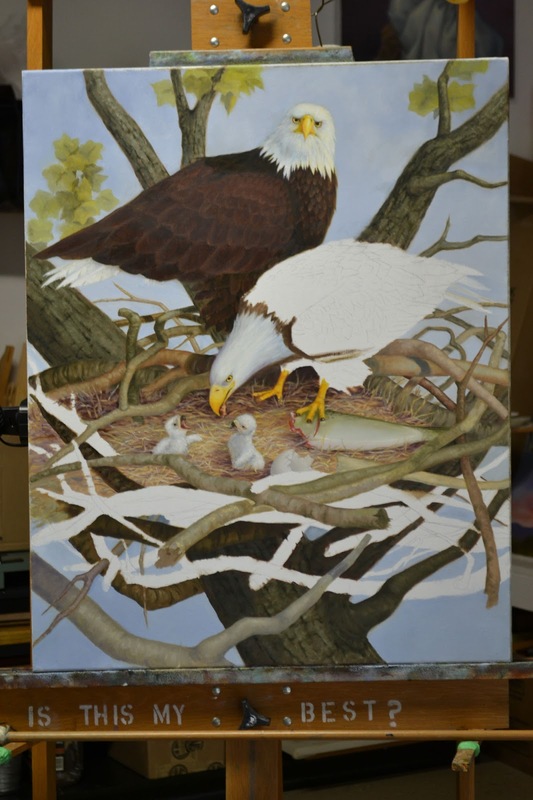 I am still laying in the initial layer. Checking it against the drawing as I go. Making sure the shadows and lights are correct and not worrying about the details at this stage. Unfortunately I am not getting much studio time these days. That should change shortly.